Hello happy readers! Getting back into the grove from my family reunion / vacation I have an author interview that I was lucky enough to be able to participate in with Hannah Bucchin. 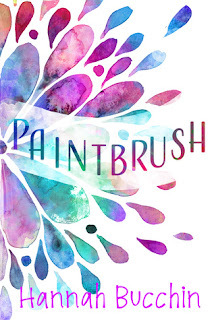 She is a debut YA author with her new release title Paintbrush which I reviewed last month here. I really enjoyed the book and was thrilled to get to ask the author some questions. I hope you enjoy! How would you describe your book to someone who had never heard of it? 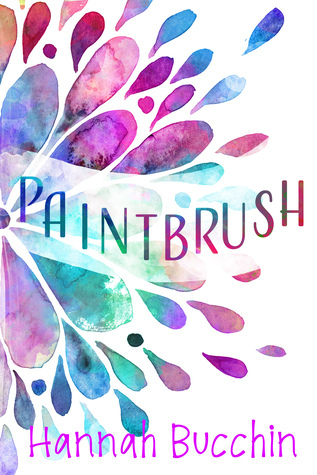 I could probably go on and on about it, but if it had to be short and sweet: Paintbrush is the story of Josie and Mitchell, two kids growing up in a hippie commune, and the choices they have to make as they face their impending high school graduation. One thing I really enjoyed was the whole Paintbrush community setting. How did you come up with the idea to use this as the setting? I don’t remember how or when I first learned about communal living, but I do remember thinking, “Wow, what an interesting place to grow up.” I love stories about characters who live unusual lives, so this worked perfectly for me. Speaking of the setting the scenery sounded so attractive and beautiful it made this strictly inside girl want to go out into nature, preferably with a hot guy to a swimming hole. You seem like an adventurous spirit, what is your favorite place you’ve visited thus far? Favorite activity? Adventuring is my favorite thing to do, whether that means taking a three month long backpacking trip or a quick one hour hike! My favorite place I’ve ever visited is probably Abel Tasman National Park in New Zealand – it’s miles and miles of pristine, deserted beaches and blue water. My favorite activity is definitely swimming in nature. It doesn’t matter if it’s the ocean, a lake, a river, etc. – I love it all. Do you see part of yourself in Josie or Mitchell (or any of the others)? If so what parts? I saw parts of myself in both Josie and Mitchell. 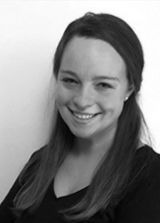 For Josie, I identified with her love of home and her protectiveness of her family. For Mitchell, I identified with his love of adventure. I’m probably more like Josie, but there are definitely parts of me in both characters. With the dual POV how do you balance getting each voice to sound different and distinctive? Do you like writing for one over the other? If so who? It was more comfortable to write from Josie’s POV, which made it a little easier, but I also liked the challenge of writing in Mitchell’s voice and from his perspective. I relate to different aspects of them both as characters, so I can’t really pick one over the other. Paintbrush has lots of real issues that people struggle with daily be it family or even not knowing what you want to do after school. Did you set out to write about these meaningful issues? There were definitely certain themes that I set out to explore when writing Paintbrush. Struggling with deciding your future was one of them – I feel like kids are being pressured younger and younger to decide who and what they want to be when they grow up, which is hard. Most of the themes and issues I explored are issues I struggled with myself during high school, and/or continue to struggle with today. What is one of your favorite lines/scenes that you wrote? One of my favorite scenes in Paintbrush is the cave scene between Mitchell and Josie. I’m a sucker for romantic moments, but I wanted to create a moment that was realistic and original without being too cheesy or cliché, which I hope came through in the writing. I think you pulled that one off! If you could put together a soundtrack for the book what are a couple songs you think would need to be on it? I love this question! I actually plan on one day soon making a Paintbrush playlist on Spotify. For now, a couple songs that inspired me and/or relate to Paintbrush would be: Alaska by Maggie Rogers, Flowers in Your Hair by the Lumineers, and Home by Edward Sharpe and the Magnetic Zeros. These are three of my favorites that I feel really capture the spirit of Paintbrush. This is your debut book, congrats by the way! How has having your book published changed or effected your life? Having a book published hasn’t changed too much of my life (though my friends and family are VERY excited for me, which is fun). The biggest change is the amount of pressure I now feel (from myself, mostly) to finish up my next project. It’s good pressure, though! I’m sure they are and rightly so! 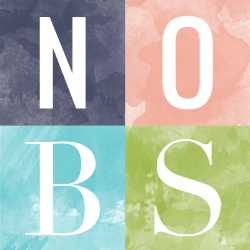 Any tips for aspiring authors? Start writing now! Don’t wait for the “perfect” time of place or moment, because that might never come. Just sit down and start. I just finished The Serpent King by Jeff Zenter, which was amazing. Next up is The Underground Railroad by Colson Whitehead, and then If Birds Fly Back by Carly Sorosiak. What about TV? Any shows you’re obsessed with? I mostly watch comedy (though I do love Game of Thrones and Westworld). Crazy Ex-Girlfriend, Broad City, Silicon Valley, and Veep are some of my current favorites. However, The Office will always be my number one—I’m pretty sure I’ve seen every episode at least twice, and some of them three or four times. I love my Game of Thrones! I know Paintbrush just came out but…what’s next? Any projects on the horizon? I’m currently working on my second YA contemporary! This one takes place in Maine and revolves around the lives of two sisters. Great I look forward to learning more. Now how can your fans reach you? I have my contact info listed on my website! Instagram is my most-used/favorite form of social media. My email is hannahbucchinwrites@gmail.com. Feel free to send me a message! Well there you go! I hope you all enjoyed all of these answers as much as I did. I’ve added some new books and shows to my “check out list” and heard some new tunes that helped me feel even more about this book while adding a new place to my “want to visit” list. Share any thoughts and opinions below in the comments!